Published in Life & Health on 03/12/2018 by Harry Lew, Chief Content Writer. Life insurance agents are most concerned with the micro-view of their business: how many new clients they’re adding, whether their compensation is growing, and how many of their policies might fall off the books in a given year. But it’s also important to take a macro-view of the life insurance industry. Agents who do will see a large, powerful, and vital business that continues to provide essential services to their clients. This is the takeaway from the American Council of Life Insurance’s (ACLI) 2017 Life Insurers Fact Book. According to the latest edition of this long-running publication, by year-end 2016, 291 million life insurance policies were in-force, an increase of 3.6 percent over the prior year. What’s more, 2016 was the fourth consecutive year that in-force life insurance increased, representing $20.3 trillion of coverage in the United States. The core of the industry’s value consists of the death benefits it provides to beneficiaries. According to the Fact Book, life insurers paid $76 billion to beneficiaries of life insurance policies. They also paid $79 billion to owners of annuities, which is the only financial product that generates guaranteed retirement income. However, the industry also contributes to the national economy, buying the largest share of corporate bonds ($2.3 trillion), which sparks economic growth. It also employs 2.6 million Americans, providing financial security to millions more family members and tens of thousands of communities. The ACLI’s Fact Book also revealed that home office employee head count increased 5.5 percent to 348,300, the highest total since 2010. Similarly, the number of life and health insurance agents, brokers, and service professionals grew 2.5 percent to 1.1 million. Consumers buying new life insurance is the engine that drives the industry forward. 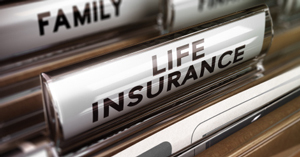 The ACLI report found that the purchase of individual life insurance (in terms of face amount) were up 2.3 percent in 2016 vs. 2015, with policy count up 6.8 million to just over 11 million. However, group life and credit life insurance were down 3.2 percent and 1.3 percent, representing total face amount of roughly $1.9 billion and $53 million, respectively, and policy count of 16.5 million and 8.8 million. To see the entire ACLI report, go here. If you have questions or comments regarding any of the professional insurance products and services offered, please contact customer care. Take A Quick Survey Now!